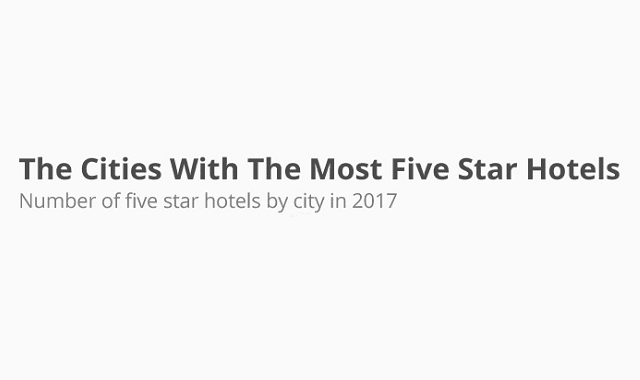 The Cities With The Most Five Star Hotels #Infographic ~ Visualistan '+g+"
A long list of luxurious hotels can say a lot about a city from the quality of its shopping opportunities to the number of upmarket attractions it can offer. Indeed, when it comes to planning a luxurious getaway, some places offer more options than others with London standing out in particular. 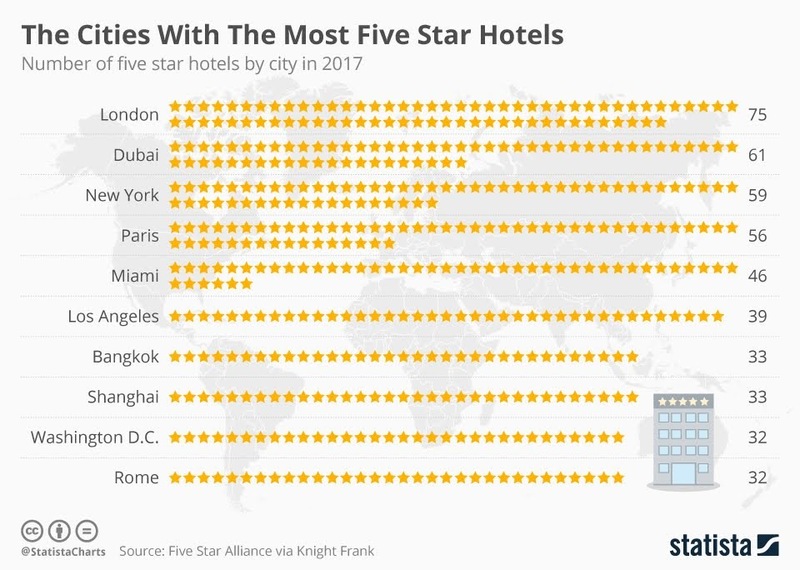 The UK's capital has 75 five star hotels according to a report from Knight Frank which used Five Star Alliance data, the most five star hotels of any city in the world. The extensive list of luxurious listings does push up hotel prices across the board, however, with HRS reporting that a room averages $217 per night, placing London among the top-5 cities with the most expensive hotels worldwide. Take a look!